5 Things to Gift to a Boss Lady You Truly Admire! Becoming the boss is an incredible accomplishment, especially as a woman, and especially if you work in a male-dominated industry. To celebrate this momentous occasion in someone’s life, you’re going to want to find the best gift possible. 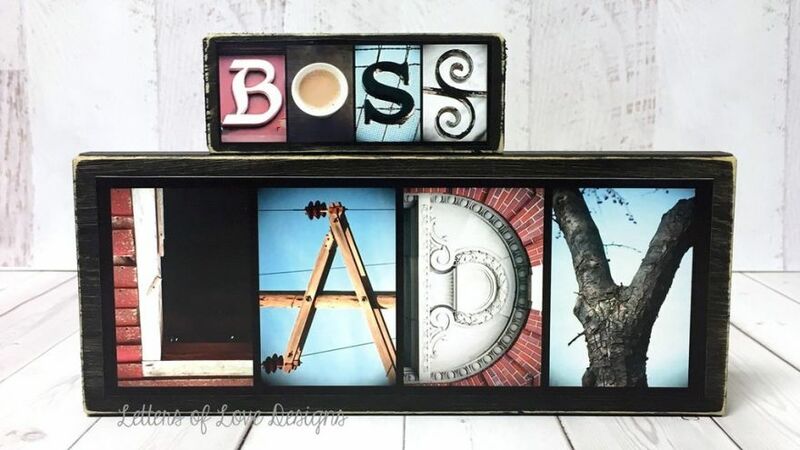 To show how much you appreciate and admire the best boss lady that you know, you need the top boss lady gifts on the market. Below are five fantastic options for you to choose from. Each present is ideal for a friend, family member, or even a coworker. There’s nothing more important than being able to keep up to date with your responsibilities as boss. There is also a lot of internal and external pressure once you take on an authoritative position in a company. This is when a journal is bound to come into good use. You can keep notes during meetings, keep a daily agenda of things that have been done and still need to be completed, among many other things. 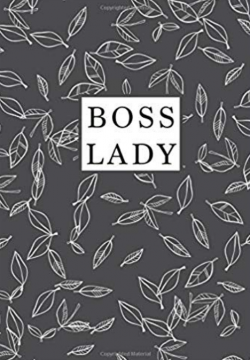 Boss Lady: An Inspirational Quote Journal is a great idea for anyone who has a knack for keeping themselves organized. Each page of the journal features an inspirational quote to help you become the best boss you can be. Even on the most difficult days in the office, you’ll be able to appreciate the kind words on each page. You’ll surely feel empowered every time you write an entry. The journal features 7” x 10” pages and a glossy finish on the cover. With 108 line pages for you to write down your thoughts, it’s a fantastic gift. It’s likely that the recipient is someone who either enjoys coffee or tea in the morning. Even if they love having a glass of wine at the end of the day, there’s nothing wrong with putting it in their very own boss lady mug. This gift set is a great gift idea for a coworker as it shows your appreciation for their recent promotion without being too over the top. 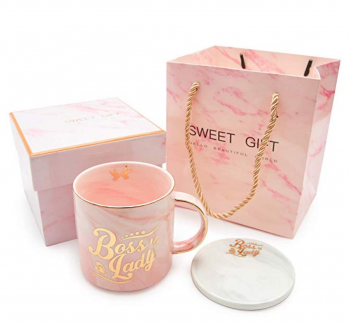 We especially love the pink marble design on the outside of the mug that sets it apart from other boss-related mug gift sets. In your order, you will receive the beautifully designed mug, a special marble gift box, as well as a marble gift bag. As an added gift, there is a boss lady coaster that is also included. The set is also printed with gold, which adds a luxurious touch to the entire set. With that said, it’s not recommended for dishwashers or microwaves. This mouse pad comes in a wide variety of different designs and you can also customize its appearance. However, we love the boss lady design that they have for sale. It features tropical foliage against the contrast of vintage wood planks. 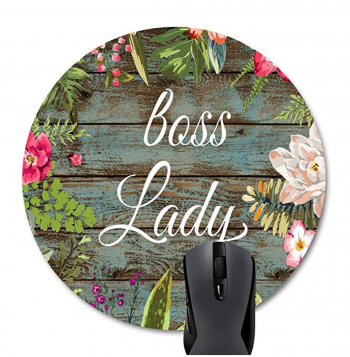 You’ll also love the beautiful cursive print that spells out “Boss Lady” on the top of the mousepad. The main reason as to why we love this idea for a gift is because it’s one of the most useful gifts on this entire list. As a boss who is constantly getting things done in their office, you can guarantee they use their computer frequently. With a high-quality mouse pad, they’ll find that completing everyday tasks will be simpler and more comfortable. The mouse pad features a natural rubber base and a printed silk cloth surface so that the mouse glides easily along the surface. You’ll also find that it’s exceptionally easy to keep clean and maintain over the years. Additionally, the rubber is non-slip, so once it is placed on the desk, it will stay in a comfortable position. Candles are a fantastic way to improve the ambiance of any room in your home, but they can also be phenomenal for offices. 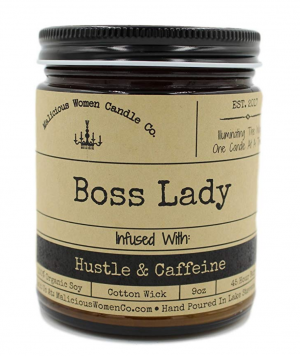 Designed by Malicious Women Candle Co the Boss Lady All-Natural Soy Candle is the perfect gift for someone who loves unique scents. The main notes of the candle are espresso, buttery caramel, and vanilla cream. It smells identical to a caramel/vanilla latte. What makes this candle unique is that all of the ingredients work together to create a gentle smell that isn’t too overwhelming, which is why it’s perfect for the office. It could also be a beautiful fixture in the recipient’s home, as the packaging is unique and quite beautiful. Above all else, the candle is entirely organic. It has a paper core braided cotton wick and is lead-free as well as zinc free. There aren’t any additives to the fragrances, which creates a more high-quality burn. As an added benefit, once they burn through the entire candle they can use the apothecary jar for other decorations in their office or home. Last but certainly not least we have the fantastic Wine Bottle Opener Kit. This is ideal for any boss lady that loves to relax at the end of a long day with their favorite wine. It is an all-inclusive package that has everything they need. You’ll also find that it has a strikingly modern appearance that would look phenomenal on a bar cart. 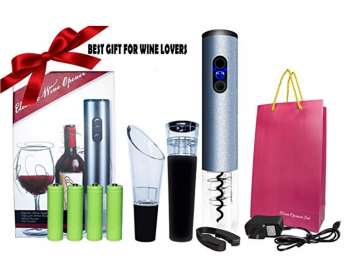 In your order, you’ll receive the electric wine opener, which is clearly the focal point of the gift. It is battery operated and comes with a battery charger, so they won’t have to worry about it ever running out of charge. They will also appreciate the heavy-duty motor that opens bottles of wine with the touch of a single button. You will also receive a foil cutter, wine pourer, as well as a vacuum stopper to keep their wine fragrant and fresh. There are plenty of gifts that you can buy for the special boss lady in your life. As this is likely one of the largest accomplishments they have experienced, finding the best gift is quite important. No matter if you’re shopping for a loved one or a coworker, we can guarantee these gifts are sure to impress.